“The first was a hare,” he began, in what felt like a parable of migration and separation, making listeners imagine the scene by opening its metaphorical nature. Images of startled runners, a chased animal, an unseen traveller crossing the border led me to muse upon the residue of hare images: ancient Zhou bronzes, Durer’s drawing, Beuys ‘explaining’ his pictures, to name just a few in art’s great archive. 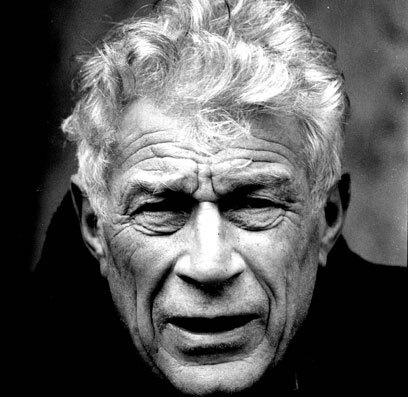 I’m remembering listening to John Berger (below) commence a reading on the dispossessed, a fragmented testimony reduced for our age of literary performance, a book promotion curtailed to an hour. There were passages on Europe’s migrant poor, the assurance offered by language, especially poetry, mellifluent philosophical approaches to ‘being together’, culminating in blinding reflections upon desire and death. The fortunate, cosmopolitan, educated audience were to hear this solace, to think upon the fortitude of the unfortunate and their survival against the odds, their preservation of our humanity. Borders, separation and the falsehood of division, these seemed to be the openings. ( Deleuze and Guattari, Haraway et al). The shared historical territory is our de-territorialisation, in a meditation on loss and care. This reading took place several years ago in a London bookshop near the end of a programme of events devoted to John Berger’s collaborative work in writing, in film and television, in drawing and in theatre performance work. Organisations, friends, creative collaborators and readers had come together to celebrate the legacy and ongoing achievement of Berger’s example of the writer’s agency and gift. That gift, I’d say, amounts to his or her creative and critical intelligence within an ultimately compassionate voice. I think Berger was reminding us, and everyone was honouring him, justly, that in over fifty years of writing, he still believed that language holds us in our deepest attachments, our being together, our living energies. We fail language, it seldom fails us, if we admit its saving power, its danger, its judgement, even in the apparent labyrinth of différance (Derrida, Lyotard, Levinas) which itself has been revealed slowly as a project of justice, not wordplay. Then approaching eighty years old, with little outward signs of frailty, John Berger read to us from his short meditation on poetry and care. He chose only four extracts, pacing it for twenty five minutes, the first being ‘the hare’. The second was a passage on poetry, language and the presence-absence dialectic, then a piece on Caravaggio and desire, concluding with the book’s own end page on death and togetherness, a metaphysical conceit on bones as worthy as a fragment from a John Donne sonnet. Many years ago, as an assistant in the Edinburgh editorial office of Cencrastus, in the snows of February, I travelled to his village in the French Alps high above Annemasse. I was to spend two days in his company, questioning and recording the discussions. As many will agree, he gives generously and warmly, demanding only that you think and feel what is more true, appropriate, or accurate. Honesty is crucial in the encounter, as is immediacy of a tactful kind. I remember offering what may have appeared strange or meagre gifts, a copy of Robin Jenkins’ Road to Alto and a pot of honey from my first bees, receiving in return his review copy of Camera Lucida and Une Autre Façon de Raconter “to help with research.” His drawings, the trees and high pastures, the byre adjacent to the living rooms, meals by the stove, I was in the end-life of the European peasantry similar to the world my parents had left as young Scots in the early 1950s. He was writing and our faces at the time, though I did not know it. At one moment he broke off our conversation to read me something apt, that “something” being the second extract at the LRB reading. Such are life’s loops and echoes. Then, I was listening for History, yet he was musing upon time and poetry; now, in the audience, I was pondering whether all along the western marxist was carrying a longer lasting ethical purpose within a phenomenological aesthetic. A sort of longue durée of the writer? The ‘repetition’ and sudden remembrance in hearing that same passage spoken ( ‘Once in a Poem’) made me thankful that he was still holding us to the problems unresolved in our late modern society of resurgent nationalisms, racism, oil politics and disappearing peasantries. There was, indeed, no Progress and his voice questioned the Rationalists and Positivists’ version of the world by showing how wounded we are. In a dialectical sense, ‘opposites’ within the ‘other’ dissolving Identity, the past and the present brought alongside each other, sensing a little more than coincidence, a little less than ‘illumination’, the reading was sufficient to make me seek an image which might hold the span of place, time and lives together. One image had been with me already for a few days. Travelling in a car earlier that same week in Chengdu, Sichuan, I had been astounded once more by street-life in China. This time it was a man on a moped carrying a dead pig stretched across his knees. This was his solution in coming and going in the market-place of contemporary technological urban life, a haunting image and a physical, visual answer to where we are historically: the poor in the city, non-mythological animals lost in technological chaos, ‘becoming-animal’ reduced to juxtapositions no longer humorous, no longer so hopeful. How good it was to think of animal images in contemporary art. Only days before, seated in a night café terrace in Chengdu, I had been talking to Zhou Chunya, a Chinese painter whose neo-Expressionist ‘Green Dog’ series has earned international acclaim. He persuaded me that the animal image was a barometer of our care and kindness to each other, not a political satire, nor an allegory. Metaphor of our humanity, or loss of it. Animal as spiritual ally. If the monstrous human, the paradoxical result of our drive to modernise, had to be abandoned, what better than a giant green dog to watch over us, direct us, judge us? The stone green forests I picture in the poems of ancient Chinese poets (Du Fu, Wang Wei, Su Tung-Po) is supercharged, transformed in his oil paintings, for ethical concerns arising in everyday life. Somehow ‘green dog’ conducts the viewer’s questioning Being – rather than prevent such questioning, as happens with some art and all kitsch. John Berger had responded to his ‘Real-Romantic’ questioner that metaphor, rather than a daftness in the face of some ‘real’, was instead at the very root of language, its beginning. One thing is another, near and far within each other, invisible resemblance found – that is the way of metaphor. Real-Romantic opposition dissolves, as in the thought of pre-modern subjects, by means of metaphor. History, time and story in that world become one problem. “The real is what confronts us,” Berger had offered the questioner at one point earlier, and his night reading was to propose once more that poetry helps in facing what confronts us. Its purpose, in and our faces, my heart, brief as photos is to give assurance (this happened, don’t forget, recover and remember) in the care of those defeated by any divisive and cruel ruling group. Poetry attests to the falsehood of division. Its promise is of togetherness, language alive to itself as the place of togetherness. I had been thinking that night of the ‘reality’ of China, that half-continent of cultural continuities and historical fractures, musing upon the silence of its poet-calligrapher-painter tradition and the benign noise of its contemporary artists : the deep pattern of the real, all the cursive lines of connection let us say, might be the release of the last fifty detainees from Tianenmen Square, without any Western armaments embargo being lifted, trade in violence being renounced. Or, for John Berger, reader of so many poets, for long a defender of the cause of Turkish Kurds, the real might be the federation of Kurds from several neighbouring states, a truly transnational liberation, one enmeshed in the warring states period of our times whose nadir is now Palestine. This poetry is addressed to language itself. And language in itself, like God and History combined, preserves the distinction of good and evil. All this is in the book, the hinterland of the extracts read. What surfaced, days after the reading, was a remembrance of why I owed such a debt of thanks to John Berger. At seventeen, stepping onto Rhodes harbour with a rucksack for my first wild journey in the world, I bought a copy of Aimé Césaire’s Return to My Native Land from a quayside stand, one translated by Anya Bostock and John Berger, a book I came to love for being there, then. Its turbulent poetry has been with me since, speaking to the wounded post-colonial Scot because its language is disrupted beyond despair and negation. Then, at twenty-five, just awakening to ‘real histories’, I read ‘A Philosopher and Death’, John Berger’s gift of a most loving essay for Ernst Fischer, the one which confirmed me on a life-course afresh, an essay like its own mountain garden under whose tree was a quiet space enshrining the role of poetry. In all our necessary scepticism, watching our humanity eroded (even in Theory which was intended to defend us), questioning everything, we had to remain without bitterness or sinful anger. The poets and our language – a string of words like a pattern of islands – harboured hope, the enduring spirit of togetherness. Is it frost covering the ground? Eyes lowered, I think of my native soil. In such a light, the animals hold counsel on what is happening. They talk, as in the oldest stories.